This natural medicine is derived from the Pitcher plant and is a biological medicine used to treat myofascial pain syndrome, sciatic pain, and intercostal neuralgia. The effect of Sarapin Trigger Point Injections is that it stops pains signals in the spinal nerves where the exit the spine. 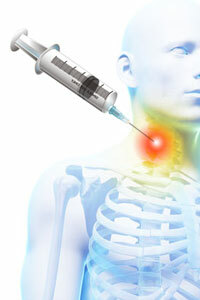 This treatment is not influenced by cold or heat, and it does not affect other nerve or motor functions. Contact us today at the Integrate Spine & Pain Center to learn if this natural treatment is right for the relief of your pain condition.